Please fill out the form below before clicking on the “Buy Now” button to pay for with a credit card, debit card or PayPal account. You do NOT need to be a PayPal member. 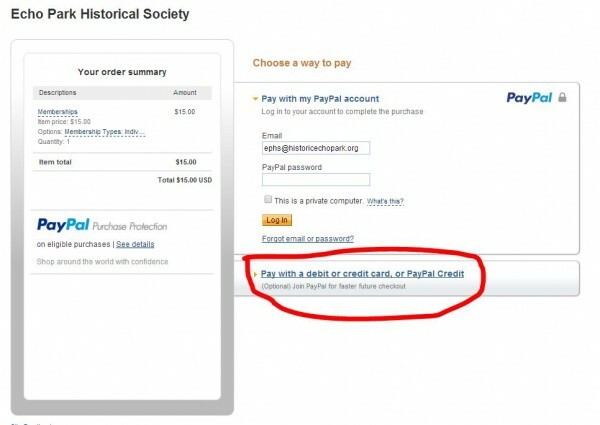 After being directed to PayPal, look for the “Pay with a debit or credit card” link (click here for example). Having trouble? Send an email to ephs@HistoricEchoPark.org. Interested in volunteering? Indicate how you would like to help.